BellyTrance will perform at this venue! Don’t miss!!! Get ready for a great party Saturday May 12th. 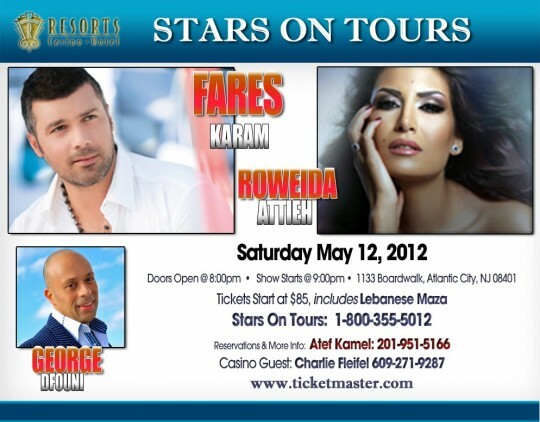 Fares Karam, Roweida Attieh and George Dfouni will rock Resorts Casino in Atlantic City, NJ.